Nickel is a great material that has some excellent properties and thus, it is used in making manifold instruments and fasteners. Smart and prudent Hex Nut Manufacturers such as Swarna Fasteners have learnt the use of this material in the manufacturing of Nickel Hex Nuts. But, the main question arises that if there is actually any benefit of using nickel as a material to make fasteners. If the same question has been buzzing in your mind, then the following information will quench your thirst for the answer of the same. Nickel exceeds in various qualities and thus is a viable good option for making nuts. It is one of those materials that have a good reputation for its strength and ductility. The high-temperature resistant ability of nickel makes it a formidable product that could be used in the applications where there is too much heat. Corrosion and rust are the biggest enemies of any metal item, but if the use of nickel is made in producing the items, there is no chance that the product might get hit by corrosion. 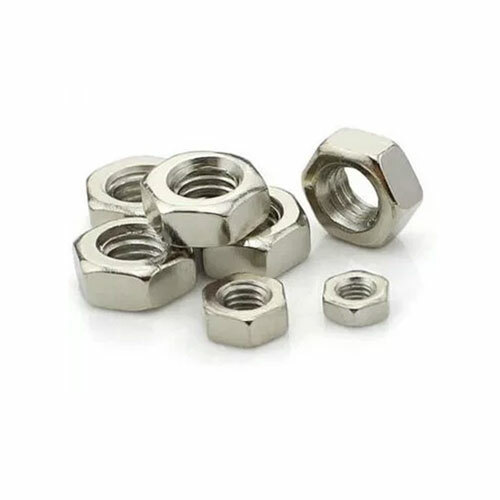 The nuts made with nickel can be easily used in the areas which make use of the chemical, acid and also information about food processing devices. We hope that we would have passed information that is worth being read and understood. If you feel that the nuts made with this material can solve a lot of your purpose, you can come in direct contact with one of the avant-garde Nickel Hex Nuts Manufacturers such as Swarna Fasteners. Getting delivered with our products will never give you a sour experience as we are leading in the domain. Fix your order by calling us now.